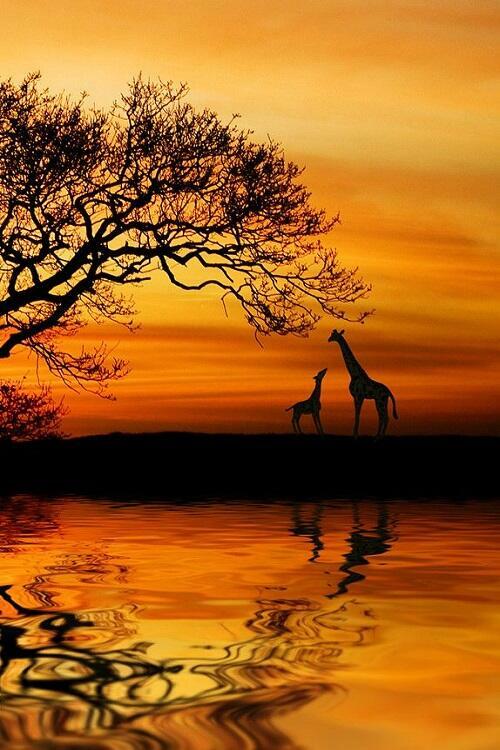 Claim: this is a photograph of giraffes at sunset. The claim is not true. This image is a Photoshop creation by Martin Wait.